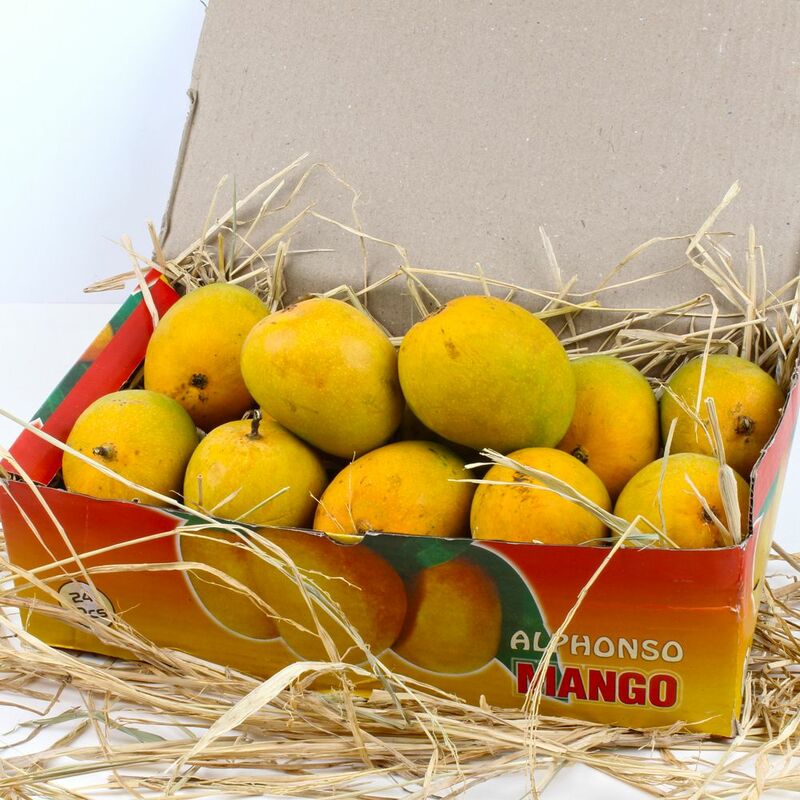 Product Consists : 1 Dozen Alphonso Mangoes in a Box. Mango is a seasonal fruit, considered to be among the most superior varieties of the fruit in terms of sweetness, richness and flavor. Mangoes are generally sweet, although the taste and texture of the flesh varies from cultivating some have a soft, pulpy texture similar to an overripe plum. 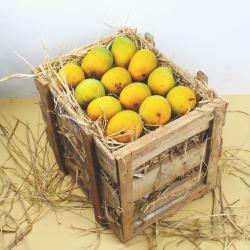 Mango is a National fruit of India. 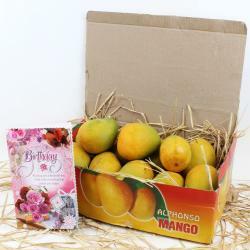 Send premium mangoes in the box - with dry rice grass wrapped as originally pack at the orchards. No fancy stuff. Just good, delicious mangoes of the finest quality. They have a sweet and creamy taste and contain over 20 vitamins and minerals. 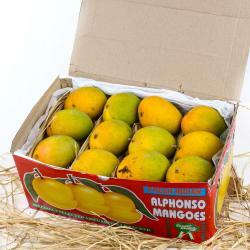 Mangoes have a rich, juicy, tender texture and are low in fiber content, with a delicate, creamy pulp. This is one of the varieties of mangoes hit and known to be fibrous and juicy, it is one of the most popular choices of the popular aamras in the western states of India. 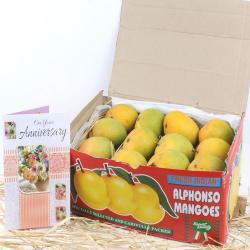 Product Consists : 1 Dozen Alphonso Mangoes in a Box.